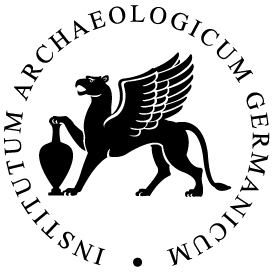 Since its founding in 1829, the Deutsche Archäologische Institut (DAI) has remained a leading internationally active institution in the fields of archeology and ancient studies. Research today is conducted by a total of 15 branch offices on five continents – academic affiliations are maintained with countries in the Mediterranean region as well as with countries in the former Soviet bloc, Asia, Africa and South America. The activities of the institute’s employees advance research interests while also furthering the analysis of the cultural legacy of the respective countries. Consequently, the DAI, as a research institution with an international scope, plays an important role in the foreign cultural and educational policy of the Federal Republic of Germany. Numerous DAI projects are pursued in the form of inter- and transdisciplinary clusters whose research frequently unites the humanities and natural sciences. The DAI contributes its exceptional competency in archaeological excavation and landscape reconstruction to the Berliner Antike-Kolleg, a contribution that also exerts an influence on the education of junior scholars through BerGSAS.